A US Airways plane rests against a retaining wall after the pilot ditched the disabled jetliner into the frigid Hudson River in New York Thursday, Jan. 15, 2009. A collision with a flock of birds apparently knocked out both engines, but rescuers pulled all 155 people on board into boats as the plane sank. "Prepare for impact!" was all the pilot of the US Airways airplane told the passengers before making an emergency landing in the Hudson River Thursday afternoon. The flight crew opened the exits of the Airbus A320 as the passengers steeled themselves for the icy waters and tried to remain calm in the cabin. "The left engine just blew. Fire, flames were coming out of it and I was looking at it because I was sitting right there. And it just started smelling like gasoline," a passenger told WNBC. "...Everyone started, to be honest, to say prayers." "Gotta give it to the pilot man," the shaken passenger added. "He did a helluva job." All of the passengers survived, according to initial reports thanks to the expertise, bravery and cool of the pilot, Chesley B. 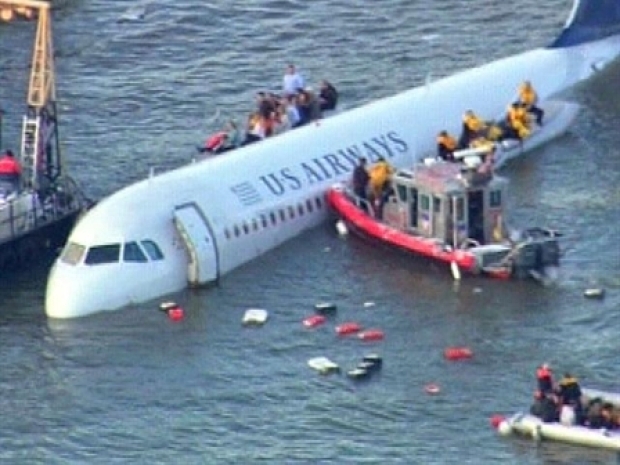 "Sully" Sullenberger III, a hero whose calm saved 155 people, including a little baby, from an icy and fiery death in what could only be called a miracle. "It looks like a miraculous rescue underway," Bill White of the nearby Intrepid Museum told reporters. 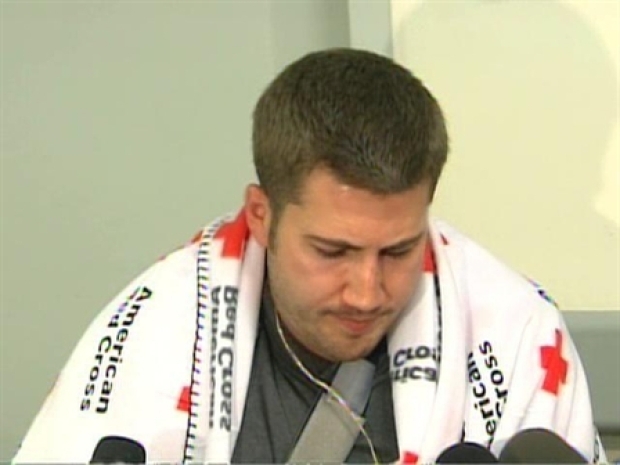 "It was an extraordinary rescue effort." Ferry passengers who happened to be on the Hudson at the time of the crash jumped into action. Stunned passengers struggled to describe the harrowing experience. 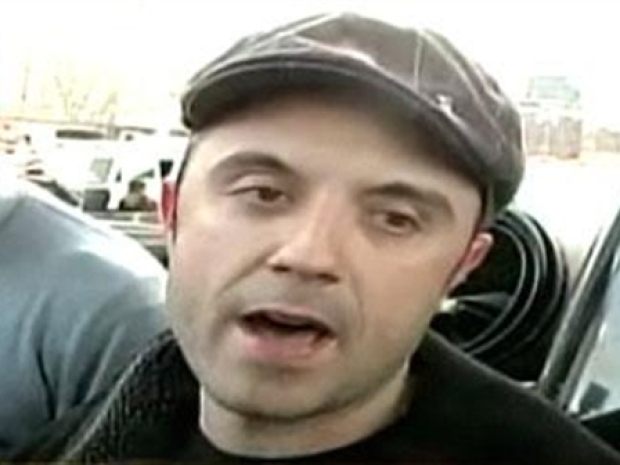 “I don't even know how to put it into words right now," Alberto Panero told CNN. "I actually grabbed one of the seats; that was the first thing that came to my mind. Some people grabbed the inflatable one. Immediately there were folks coming to us and throwing life jackets to us and helping us get to safety." 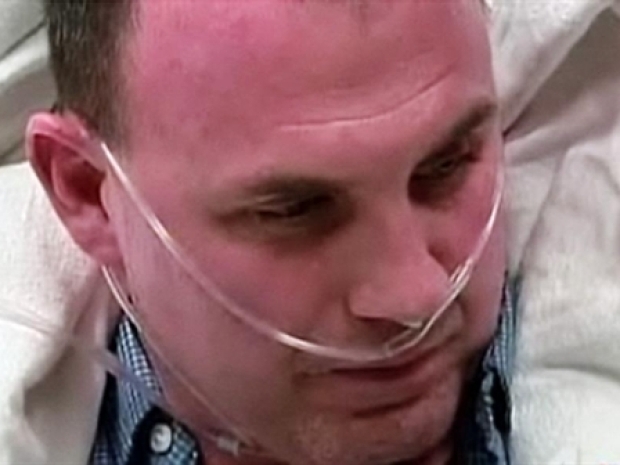 Video: "I Thought I Was Going To Die"
Bill Zuhoski says he thought he was going to die after the plane landed on the Hudson River Thursday. "There were a couple of people who took charge and started yelling for everyone to calm down," Panero said. "Once everyone realized we were going to be OK, they settled down." Along the bank of the Hudson, eyewitnesses could not believe their eyes: a plane was flying impossibly low yet steady as can be. 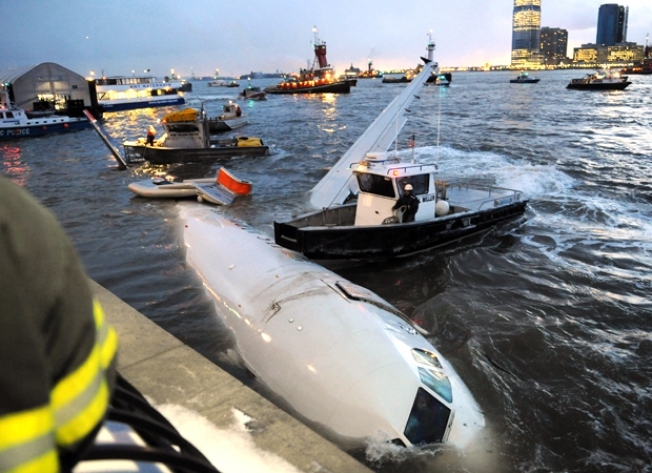 It was as if the pilot was approaching a runway, not the icy winter waters of Manhattan’s Hudson River. Eyewitness after eyewitness expressed shock. "I see a commercial airliner coming down, looking like it's landing right in the water," Bob Read, who saw it from his office window, told MSNBC. "This looked like a controlled descent." Witnesses who heard the crash did not know what to expect. “It made this huge, gigantic splash, and I actually thought it was a boat crash at first,” Fulmer Duckworth, 41, told the New York Times. “It didn’t occur to me that it was a plane in the water." Witness: I Saw the Plane Coming Down the Hudson!